American actor, Marc Blucas is popular for his big screen co-starring role as Rodney in the Tom Cruise and Cameron Diaz Knight and Day. He is also known for his role Riley Finn in Buffy the Vampire Slayer. He has appeared in the TV series like Necessary Roughness and Underground leaving a great impact on audiences. As of 2018, he worked in the TV series, The Fix. 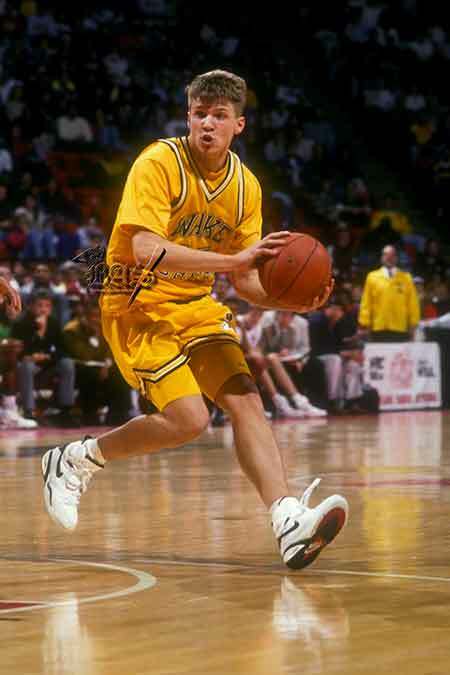 Before pursuing a career in acting, Blucas has played college basketball with the Wake Forest Demon Deacons. Marc Blucas was born Marcus Paul Blucas on January 11, 1972, in Butler, Pennsylvania of United States under the birth sign Capricorn. Blucas is American by nationality and belongs to White ethnicity. He is the son of Walter Joseph Blucas and Mary Catherine. His father was the quarterback on the undefeated 1968 Big Indians team. His parents married on January 10, 1970, shortly before their graduation from the Indiana University of Pennsylvania. In 1974, his family moved to Girard in Erie, Pennsylvania where his father became a school principal. Later, his parents got divorced. He has an elder sister, Kristen Blucas. Marc Blucas, a self-confessed square who earned good grades, was a skilled player just like his father. His father was the quarterback on the undefeated 1968 Big Indians team. His father was inducted into the IUP Athletics Hall of Fame in 1999. While studying at Girard High School, he was in the High School Basketball team. He helped his team to lead in the Pennsylvania boys AA State Championship. His performance helped him to get the scholarship in Wake Forest University where he also became the Wake Forest Demon Deacons men's basketball team. In addition to this he also became as an active member within Sigma Phi Epsilon fraternity and but unfortunately, he failed in making NBA this made him frustrated and he moved towards England in the later phase of his time. He also within then became a part of British Basketball League. Later, Blucas planned to be a lawyer but he changed his mind and pursued a career in acting. Marc Blucas made his acting debut in 1995 in a TV film, Inflammable. Blucas earned his first lead role as a military operative, Riley Finn in supernatural drama TV series, Buffy the Vampire Slayer. He was associated with the series from 1999 to 2000 appearing in 31 episodes. The series starred Sarah Michelle Gellar, Nicholas Brendon, and Alyson Hannigan. Blucas then appeared in several TV series in uncredited roles like House, Lie to Me, Castle, Revenge, and Body of Proof among others. One of his other popular work includes USA Network's TV series, Necessary Roughness where he worked from 2011 to 2013. He shared the screen with Callie Thorne, Mehcad Brooks, and Scott Cohen. In 2016, he had a recurring role of an abolitionist lawyer, John Hawkes in period drama series, Underground starring Jurnee Smollett-Bell, Aldis Hodge, and Jessica De Gouw. In the year 2018, he was a cast in the romantic comedy Season for Love. As of 2019, he is working on the upcoming ABC's TV series, The Fix starring Robin Tunney and Adam Rayner. In the series, he will appear as a Riv. Blucas made his movie debut in 1996 as Bech Knicks in Steve Rash's movie, Eddie. Two years later, he worked in another movie, Pleasantville with Tobey Maguire, and Jeff Daniels. He then worked in several movies including Summer Catch, They, The Alamo, First Daughter, Deadline, Touchback, and Red State. His latest movie includes 2017's action thriller film, Brawl in Cell Block 99. He shared the screen with Vince Vaughn, Jennifer Carpenter, Don Johnson, and Udo Kier. Marc Blucas' net worth is $3 million as per the celebrity net worth, whereas his net worth is estimated to be $1.5 million as per the richest. Blucas worked in several movies which made an impressive collection at the box office. The actor has been the part of several successful movies and some of them are listed below. House o Haunted Hill (1999) $19 million $40.8 million 5.6 Famke Janssen, Geoffrey Rush, and Ali Larter. Jay and Silent Bob Strike Back (2001) $22 million $33.8 million 6.9 Kevin Smith, Jason Mewes, and Ben Affleck. We Were Soldiers (2002) $75 million $115 million 7.2 Mel Gibson, Sam Elliott, and Madeleine Stowe. Knight and Day (2010) $117 million $261.9 million 6.3 Tom Cruise, Cameron Diaz, and Peter Sarsgaard. As per several online sources, a TV star averagely makes a salary that ranges from $150k to $1 million. Besides, he owes his fortune to smart stock investments and lucrative endorsement deals with CoverGirl cosmetics. He owns several restaurants in Washington. Blucas also launched his own Vodka brand and is now tackling the juniors market with a top-selling perfume and a fashion line, Marc Blucas Seduction. He has worked in several movies Brawl in Cell Block 99, The Red Maple Leaf, Sleeping with Other People, Touchback, and Deadline. He has appeared in the TV series including Season for Love, Necessary Roughness, Buffy the Vampire Slayer, and also in an episode of the series such as Law & Order: Los Angeles, Blue Bloods, Stalker, Body of Proof, and Revenge. In Sep 2010, Marc listed his two single-family homes on the market for an amount of $1,639,000 and $1,489,000, respectively. The homes he renovated himself. It has a 1,766 square-foot 1960's-style ranch with three-bedroom, two-bath home. The actor also owns a mansion in Los Angeles, California. 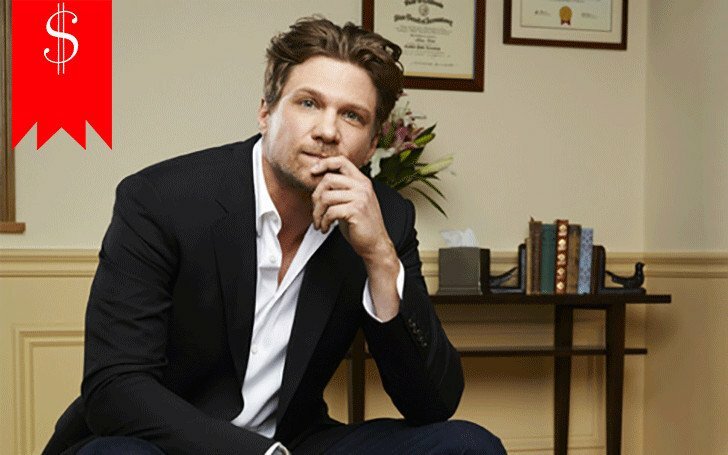 Marc Blucas, the talented actor, is a married man. He tied the knot to his girlfriend turned wife, Ryan Haddon on 25th July 2009 in Pennsylvania in a private ceremony attended by families and friends. His wife is a journalist and is the daughter of Dayle Haddon. The couple dated for almost two years before getting married. Many of the sources claimed that Blucas and his wife is still without any children even after years of marriage. But his Instagram story tells another story. It seems like they together share two daughters, however, he has not confirmed anything. Moreover. Haddon has two children, Jaden Christopher (1999) and Eliana Sophia (2001)from her previous marriage with Christian Slater. Previously, Blucas dated Lauren Graham, an actress in 2005. But the relationship did not last long and broke up soon only after five months. Marc has over 14.2 K followers on her Instagram account, as of 2019. 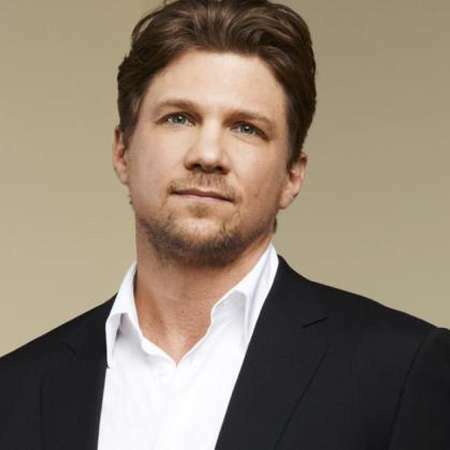 Height = Marc Blucas stands at the height of 6 feet 2 inches (1.88m). Weight = He weighs 82 kg. Age = As of 2018, his age is 46.